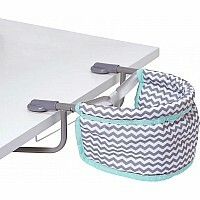 Adora's Zig Zag Baby Doll Carrier is perfect for "little parents" on the go! Can easily fit most 13 - 20in. 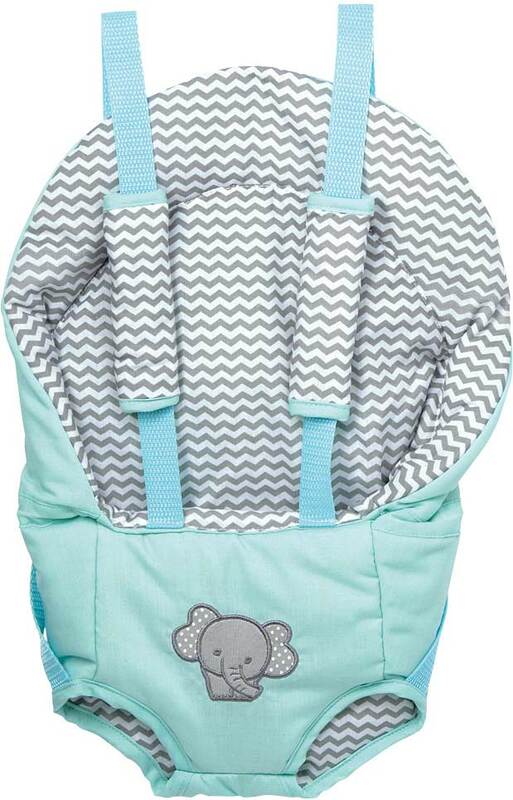 baby dolls and features an attractive gender-neutral zig zag design in teal, white and gray. Made with comfortable, high quality materials, your little one can tote their dolls in the front or back with this dual-purpose carrier. It features two adjustable vertical straps and a drawstring in the back to accommodate various sized dolls for endless adventures. A closer look and you'll notice the hand applied elephant applique on the front that adds an ADORAble touch to an already snuggly doll carrier. The best part? It's 100% Machine Washable! 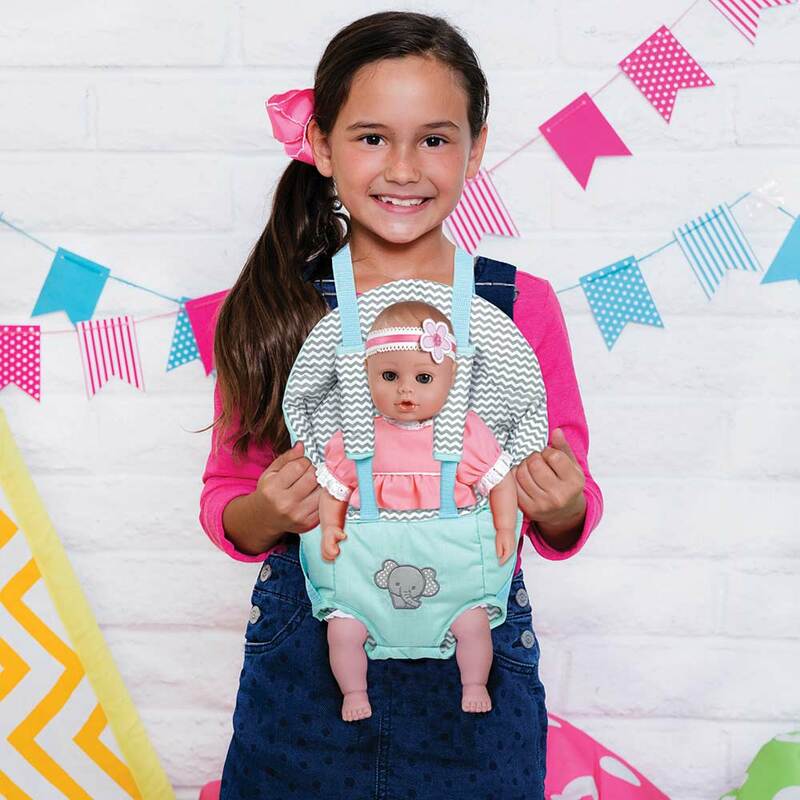 Adora's Zig Zag Baby Doll Carrier will become a big part of your little love's life while they learn to nurture and keep their baby safe during travel. Ages 2 and up.